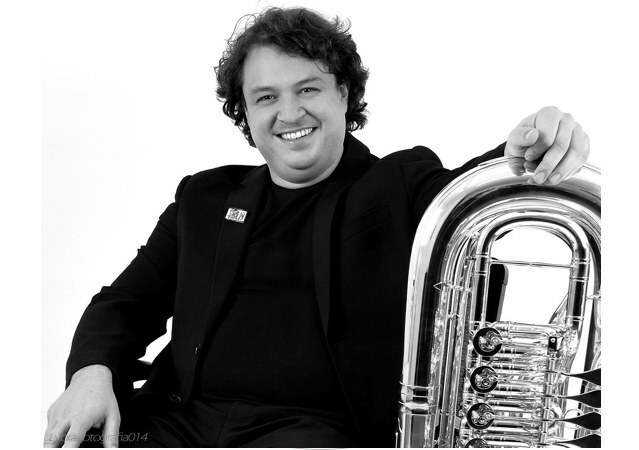 Tuba player of Spanish Brass Born in 1979 in Oviedo, Sergio started his musical studies at the age of eleven. 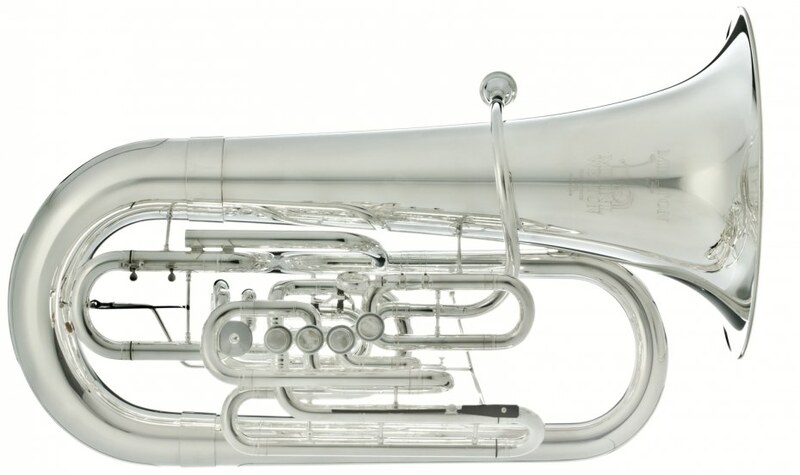 He later gained a Medium Grade at the Music Conservatory in Oviedo, under Professor David Moen (Main Tuba in the Symphony Orchestra of Asturias, Spain). He broadened his musical studies at the Conservatoire National de Region in Bordeaux and in Perpignan (France). Here he was awarded the “Medaille d’honneur de la ville de Bordeaux” and the “Mention Trés Bien a l’Unanimité”. He attained the Superior Diploma of Musical Studies granted by the National Higher Music Conservatory in Lyon (France) with mention “TrÃ¨s Bien a l’Unanimité” in a competition between this school and the CNSMD Paris. Sergio has also studied alongside Mel Culbertson, Arnaud Boukitine, Rex Martin, Roger Bobo, Harvey Philips, Arnold Jacobs, Gene Pokorny, Jens Bjorn Larsen and Michael Godard. He has been a member of the European Union Youth Orchestra (EUYO), the Iberoamerican Youth Orchestra and the UBS Verbier Festival Youth Orchestra. He frequently collaborates with the Barcelona Symphony Orchestra, Euskadi Symphony Orchestra, Granada Symphony Orchestra, Asturias Symphony Orchestra, the National Orchestra of the Capitol of Toulouse, Bordeaux-Aquitane National Orchestra, Lyon National Opera Orchestra and the Saint Etienne Opera. With these orchestras he has worked under the baton of conductors Zubin Metha, James Levine, Bernard Haitink, Yuri Termikanov, Eliahu Inbal, JesÃºs López Cobos, Paavo Jarvi, Ivan Fischer, Gunter Herbig, Josep Pons, Edmon Colomer, Yutaka Sado, Sergio was given awards at the Sydney International Competition of Australia in 1999, and in 2000 at Brno in the Czech Republic. He has won First Prize at the Permanent Competition for Young Performers, organised by Juventudes Musicales of Spain (Altea in 2003). His performance for Televisión EspaÃ±ola in a recital at Madrid’s National Auditorium in November 2003 stood out. 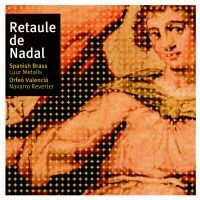 Also outstanding were his appearances as a soloist at the International Festival of Music and Dance in Granada (2004) and at the Spanish Brass Festival (Alzira 2004). He has also worked a great deal as a teacher, giving master classes in Marseille, Lyon, Pontevedra, Pola de Siero, Gijón, Oviedo, Granada, Gothenbeurg and Barcelona. He taught tuba at the Academy of Music Henrie Tomasi in Marseille (France) from 2000 to 2004 and was Main Tuba for the Lyon National Opera Orchestra. In September 2005 he won first prize at the “Brno International Performer`s Competition” in Brno, Czech Republic. 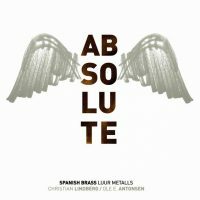 From March 2006 he is the new tuba of the Spanish Brass Luur Metalls. 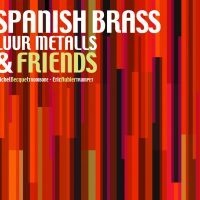 Sergio Finca has recorded nine CDs with SBLM: Retaule de Nadal with the Orfeó ValenciÃ Navarro Reverter, SBALZ Brass Ensemble, Brass and Wines with Steven Mead, Brassiana with Lluís Vidal Trio, The Best of Spanish Brass, SBLM, Tell me a Brass Story, viBRASSions and Metalls dâ€™Estil with Pep â€œBotifarraâ€.